In April 2017, Brian May – the rock star turned badger conservationist – brought together policy makers, scientists, veterinarians and farmers to discuss the continuing problem of bovine tuberculosis (bTB) in badgers and cattle. Whilst most media attention has focused on the controversy of badger culling, my recent paper in Transations of the the Institute of British Geographers, “Navigating veterinary borderlands: ‘heiferlumps’, epidemiological boundaries and the control of animal disease in New Zealand” (Enticott, 2017), examines a fundamental question: how do we even know what bovine tuberculosis is? And, is it the same everywhere, or do we need different ways of seeing disease to meet different local contexts? Confronted with disease, most people want to be certain that a disease is present or not – that somehow disease can be routinely and easily diagnosed, and that this diagnosis would be the same anywhere. Such a belief in the universality of disease is popular amongst policy makers and epidemiologists too: it provides the basis for standardised responses to disease throughout an area or country. As my paper shows, though, in the field or on the farm, these universalities can be far from helpful. Rather, than relying on universal perspectives, the paper shows how accepting the mutability of disease by combining different knowledges and understandings can be central to its management. The argument made in the paper comes from an historical analysis of attempts to eradicate bTB from New Zealand. Records of meetings held by the Department of Agriculture in New Zealand National Archives show that as the eradication programme was rolled out in the 1960s, the effects upon farmers’ businesses began to be felt, leading many to question the accuracy of the diagnostic tests. The problem was felt most on the West Coast of New Zealand. Farmers here refused to test: their strike causing political consternation. Local vets, too, had their doubts about the accuracy of the test. The problem seemed to be what was known locally as ‘Heiferlumps’ – young cattle testing positive to the skin test used to diagnose bTB, but which had no internal signs of disease at slaughter. One of these vets, Peter Malone, led pleas for a ‘lighter’ interpretation of the test results – what he called ‘reading light’ – but was ignored by senior government vets in the capital, Wellington. The relationship between vets and farmers on the West Coast and government officials in Wellington turned toxic when Malone admitted to ignoring heiferlumps when interpreting the results of bTB tests. The Department of Agriculture’s leading vet, a Scotsman called Sam Jamieson responsible for the eradication program, and known for his short temper and scientific approach, was outraged. Malone was forbidden from testing, only stoking an air of mutual mistrust between vets and farmers on the West Coast and distant government vets like Jamieson. In the ensuing controversy, Jamieson turned to a field trial to establish the veracity of the bTB tests and rule out the possibility that there could be local variations in the nature of bTB. It had little effect: although the trial proved the test was good, no test is ever 100% accurate and farmers and vets continued to raise doubts. But rather than more science, what came to settle the dispute was a new kind of science: a version of epidemiology that was not confined to a particular discipline but crossed boundaries to combine different ways of knowing disease . Could these experiences from New Zealand be relevant to the management of bTB in the UK? On the one hand, Defra – the government department responsible for managing bTB – look favourably upon the New Zealand approach to managing disease, their recent strategy mentioning them more than any other country (Defra, 2014). Yet, at the same time, there appears to be little room for manouvre to experiment and try new approaches to managing disease. In fact, as revealed at Brian May’s summit, attempts of the kind conducted in the 1970s in New Zealand, but by vets in England, have been ruled illegal and halted, despite their positive impacts upon disease and farmer engagement with disease management process. In future, however, as my paper argues, adapting and adjusting diagnostics to local geographical variations by working with farmers to develop new kinds of veterinary knowledge may offer the best chance of dealing with disease. 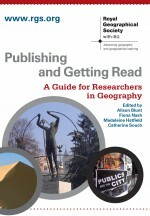 About the author: Gareth Enticott is Reader in Human Geography in the School of Geography and Planning. His research focuses on biosecurity, practices of environmental regulation and governance, and scientific controversies in animal health. His main focus is on the ongoing controversy surrounding bovine Tuberculosis in the UK, as well as the management of the disease in New Zealand. His work has helped inform policy on bovine Tuberculosis in England and Wales. Defra (2014) The Strategy for Achieving Officially Bovine Tuberculosis Free Status for England, London: Defra. This entry was posted in Transactions of the Institute of British Geographers and tagged animal, archival research, Biosecurity, bovine tuberculosis, Brian May, cows, defra, Disease, disease management, environmental regualtion, environmental regulation, farmers, geographical variation, Heiferlump disease, New Zealand on May 23, 2017 by RGS-IBG Managing Editor: Academic Publications.